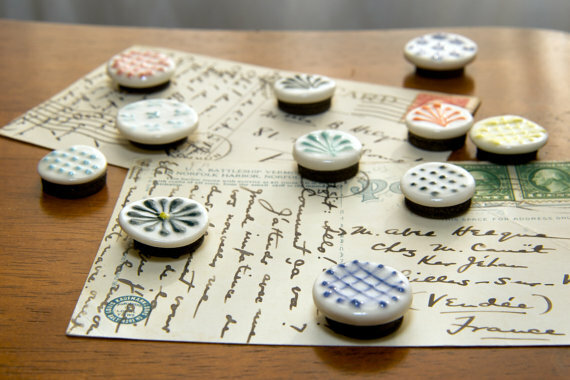 Fashion Truffles: Etsy Favorites: Cynthia Vardhan Ceramics and a Giveaway! 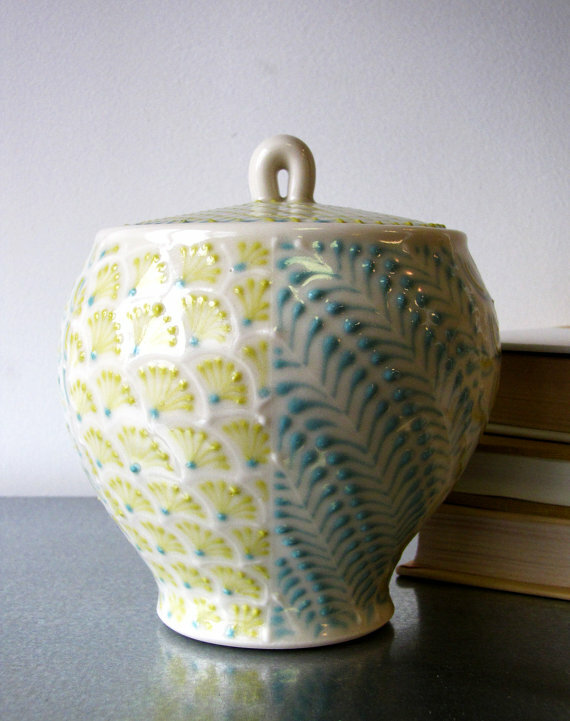 Etsy Favorites: Cynthia Vardhan Ceramics and a Giveaway! We're back for another installment of my Etsy Favorites series. Cynthia is a seriously talented lady! 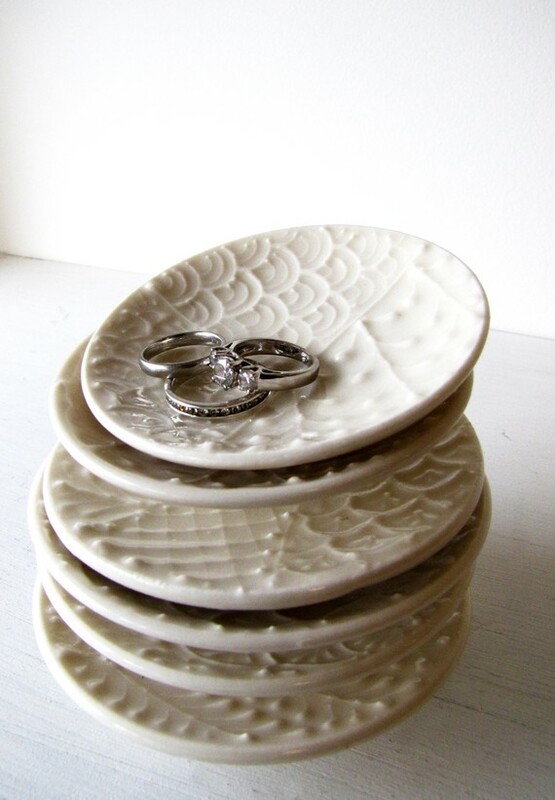 Her shop, Cynthia Vardhan Ceramics, carries delicate, handmade ceramic pieces that make you want to buy the whole store. Yes, not even kidding. Today Cynthia agreed to stop by FT and share with us a little insight into her world and inspiration. Cynthia Vardhan of Cynthia Vardhan Ceramics & I'm 32. 2. When did you start creating pieces? When did you open your shop and where are you based out of? I started making pottery at 13 in an afterschool program and have been working at it ever since! I started selling in about 2005, and quit my day job to focus totally on ceramics in 2010. My studio & I are in downtown Columbus, Ohio. 3. What is the inspiration behind your pieces? Inspiration comes mainly from traditional textile designs and historical ceramics. I especially enjoy quilts, lace, and sari patterns as well as the shapes of Japanese & Islamic ceramics. 1. Leave a comment telling me which piece is your favorite. p.s. Stay tuned! The winner of our Designs by Mehru giveaway will be announced at noon today. Only a few more hours to enter! My favorite is the yellow bud vase. Such great detail on her work! i've favorited cynthia's shop on etsy! just tweeted about the giveaway, https://twitter.com/#!/babypenguin13/status/175196550602043392 yay!! I'm totally in love with the Small Yellow Dish. My bedroom is currently a yellow/navy blue theme-that dish would match perfectly! those white dishes are lovely! Last but not least, tweeted about the giveaway! i love the white bud vase! liked fashion truffles on facebook! omg it is all so amazing! i love those white vases! Those ring holders are absolutely adorable, and those magnets! I don't know how I could possibly choose. I love the white bud vase + the ring holders! so cute! I like Fashion Truffles on FB! wow! I just checked out the etsy store and I think my favorite is the large jar! Too cute AND she's from Columbus too! 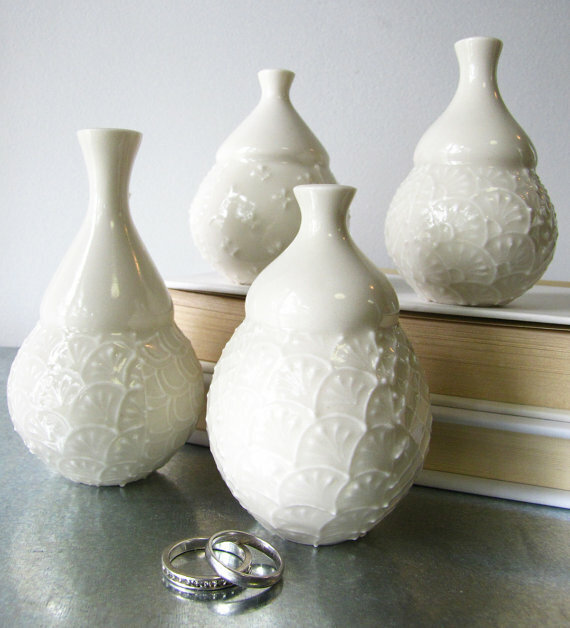 I love the Single White on White Bud Vase and I favorited her in Etsy! i loove the single small white on white dish. perfect for dainty jewelry! made cynthiavardhan a favorite on etsy! I like you on Facebook! FB name is Courtney Elizabeth :) The dish would look so cute atop my dresser! I favorited her shop on Etsy! She is so talented :) Love that white dish! I love this giveaway! And I love those little dishes! I love the white on white dishes! Love it all! The bud vases are so cute. I like FT on FB. These are all beautiful pieces for our home and would make perfect gifts for special friends! 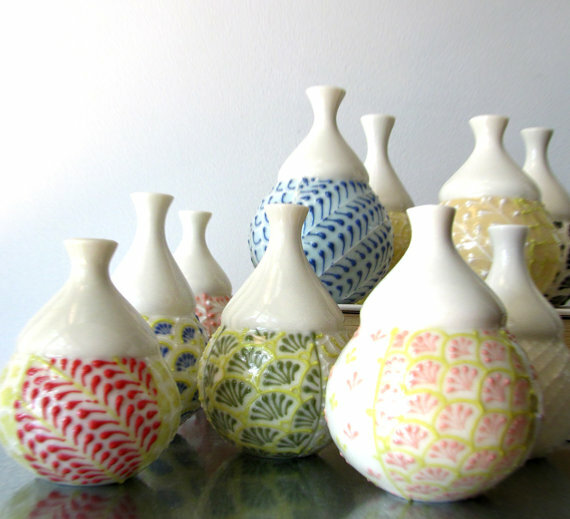 My fav in this collection are hand painted bud vases. They would make for the sweetest addition in our dining room. I actually really love both of the vases you have photos of here, and that dish is also gorgeous. Great giveaway! I "like" FT on FB via The Daily Dish.